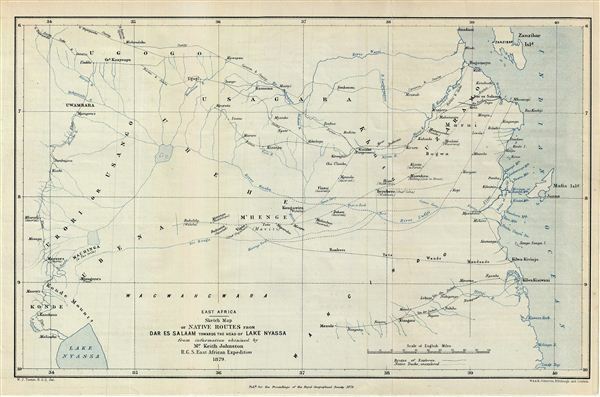 Rare map illustrating indigenous footpaths across 19th century Tanzania. East Africa. Sketch Map of native Routes from Dar Es Salaam towards the head of Lake Nyassa.